Surveyed in January, members of New Power’s Expert Forum were exasperated by the complexity of the measures and found the package was failing to deliver investment. There are few signs that Electricity Market Reform (EMR) can deliver the UK’s three energy aims of affordability, security and decarbonisation, according to New Power’s Expert Forum. 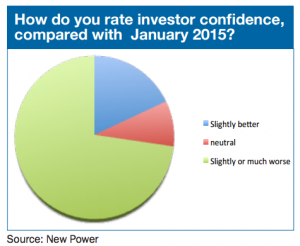 And they warn that investor confidence in the UK energy sector has slipped over the past year. 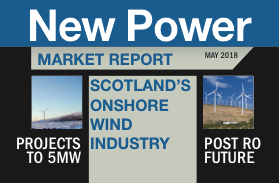 Two years after the 2013 Energy Act set the framework for EMR, and with the experience of two Capacity Market auctions and one Contract for Difference (CfD) auction, New Power asked its Forum members how the measures were bedding in – and whether implementation was bringing investment to the UK. Their answers raised the prospect of a reform of the EMR. Although nearly half the members thought the project needed more time to achieve the government’s aims, a majority of New Power’s forum members thought the package had failed or needed review. 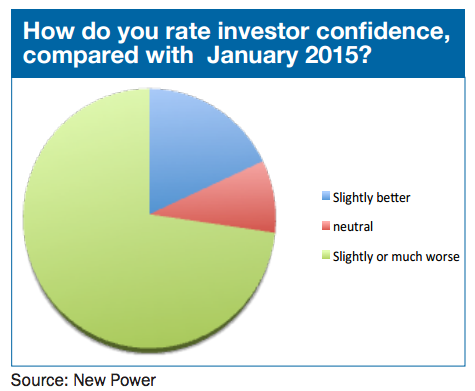 Asked how investor confidence in the UK energy sector had changed over the past year, 72% said it was slightly or much worse. Government was largely to blame for that slippage, the Expert Forum members said, because it was being caused by increased political risk. Subscribers login and download the new issue for more details .